Do win-win solutions that perfectly achieve all three ‘E’s (equity, efficiency and effectiveness) exist? BOGOR, Indonesia (27 May, 2013) – International efforts to reduce forest loss and degradation through the U.N.-backed REDD+ scheme are poised to see significant benefits flow to forest-rich developing countries. But the latest study by the Center for International Forestry Research (CIFOR) suggests that such benefits may not be distributed in ways that are fair and socially inclusive. CIFOR’s project on REDD+ Benefit Sharing: Opportunities and Challenges in Developing Countries aims to improve the way REDD+ benefits are distributed to help ensure the scheme is equitable, efficient and effective. 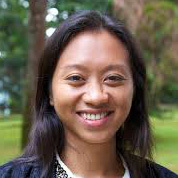 “Our preliminary analysis looking at existing benefit sharing models in 13 REDD+ pilot countries including Brazil, Indonesia and Tanzania, has found that there are trade offs between being completely efficient and equitable and that these depend on the different approaches to benefit sharing,” said Grace Wong, CIFOR senior scientist with the project and co-author of the study. Deforestation and forest degradation contributes to nearly 20 percent of global greenhouse gas emissions. To combat this, countries in the developed world have pledged money and support to tropical forest countries in order to incentivize them to protect standing forest – a scheme known as Reducing Emissions from Deforestation and forest Degradation or REDD+. The scale of the benefits is linked to rates of reduction in deforestation and degradation. At a workshop in Jakarta last week looking at the context, elements and dynamics of REDD+ in Indonesia, Wong spoke with Forest News about alternative ideas of benefit sharing and the risks associated with each of these. Q: What is benefit sharing in the context of REDD+ about? “Benefit sharing is about the distribution of direct and indirect net gains from the implementation of REDD+. Direct gains come in the form of monetary transfers while the indirect gains relate to how REDD+ implementation can provide clarity on land tenure issues, enhance forest management and governance, and improve ecosystem services such water provision. Q: Who are the different groups identified as ‘beneficiaries’ of REDD+? Those who are effective facilitators of REDD+ implementation: government agencies at different levels, REDD+ project developers and NGO groups who facilitate implementation. Q: What are the trade-offs and risks involved? A: “Distributing benefits to the poor and to those who already manage the forest sustainably is important from an equity point of view, but it may not necessarily be the most effective use of REDD+ funds because there is little additional gain in carbon terms. From a technical point of view, the most effective and efficient distribution of benefits could see a transfer of funds to large land owners (and in the case on Indonesia, concession holders); those who potentially contribute to highest emission reductions and at the least cost. Q: What has the preliminary analysis revealed about benefit sharing approaches in REDD+ pilot countries? A: “We found that benefit-sharing approaches tend to be built upon existing models within each country, including market-based mechanisms such as ‘Payment for Environmental Services,’ community forest management systems, forest concession agreements and funding institutions. The extent to which benefit sharing mechanisms can be effective, efficient and equitable depends on the level of accountability, transparency and financial management capacity of the state, which were found to be quite weak in most of the countries. Q: What else needs to be considered if we are to achieve equitable, efficient and effective benefit sharing mechanisms? A. “CIFOR is trying to push forward the discussion around rewarding individuals and communities who are already conserving and managing their forests in a sustainable manner. The preliminary analysis has found that this argument has been absent in developing countries that tend to focus on compensating those who bear the costs and benefiting those with legal land rights, thus risking the marginalization of groups with customary or traditional land rights. There will never be a win-win solution that will perfectly achieve all three ‘E’s – equity, efficiency and effectiveness. However, it is important that they are all considered equally in a process that involves transparent debate, discussion and equal participation. This work forms part of the CGIAR Research Program on Forests, Trees and Agroforestry and is supported by the European Commission.